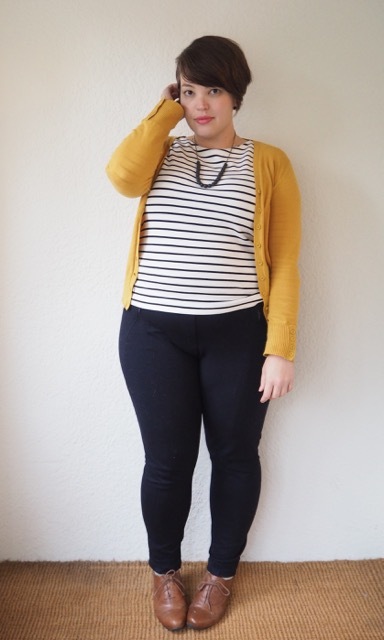 When it’s cold and wet I always find myself gravitating towards trousers, rather than my favourite skirts and tights. These pull-on ponte trousers from Sportscraft are really the best of both worlds when it comes to comfort and style. They’re stretchy and soft enough to lounge around in, but the heavy fabric and trouser detailing give them enough formality to be worn in a more professional context. I’m actually kind of loving the shoes at Ziera this season. When did wide-fit comfort shoes get so stylish? I’ve got my eye on a couple of pairs of ankle boots – I’m hoping to replace my Ara Fanny Boots which have never recovered from the salted pavements of New York – and I’m hard pressed to decide between the Lana and the Nebula. The little caramel-coloured booties that I’m wearing today are comfortable for walking, and the oxford/brogue detailing (that you can’t see, because I didn’t take any close-up pictures) is so swank. A couple of people have asked for a close-up pic of The New Hair, so here we go! 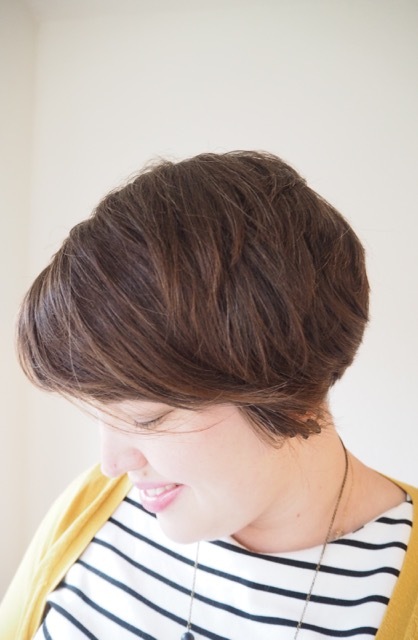 I really love it – it’s so easy to wash/dry/style – I’m really glad I took the plunge. 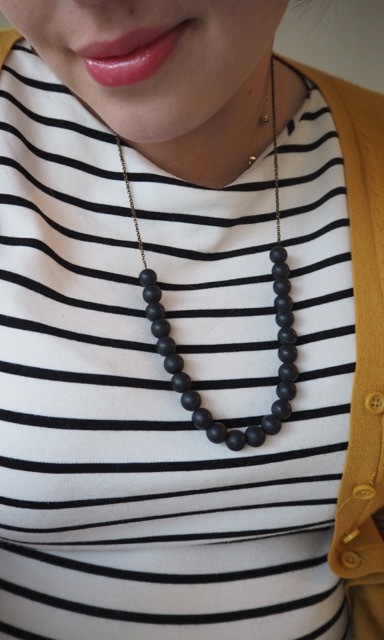 This entry was posted in Uncategorized and tagged cardigan, cold, country road, glassons, sportscraft, ziera by lillipilli. Bookmark the permalink. Oh that drives me crazy when the stores don’t stock the whole size range – especially if you make a special trip to try something on in person! Even casual you have such style! 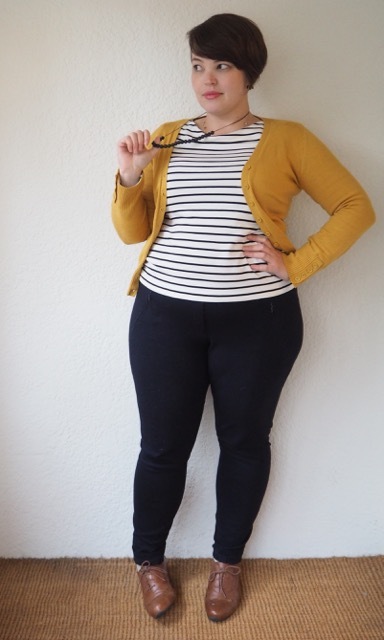 I’m now officially on the hunt for a mustard yellow cardigan – every time I see you in one it looks so fantastic, I need to bring that into my life! And I totally agree that the “comfy” shoe lines have gotten much better at being stylish and comfortable. It’s a win-win. I just picked up a pair of really good quality oxfords from Midas and I tell you, you were my inspiration. Your focus on quality has really rubbed off on me! For years I’ve avoided taking the plunge and investing in a good pair of quality, comfortable shoes. And I’m so glad I did! I do like those trousers so I clicked through to Sportscraft to have a look at them. The advertising photo online has been hilariously photoshopped to create that anorectic crotch/thigh gap that clothing purveyors seem to think we consumers might admire and wish to emulate. Well, not me, Sportscraft. I treat eating disorders in my practice and that photo just put me right off buying your product. Yeah, that made me laugh too 🙂 The trousers themselves are great though! 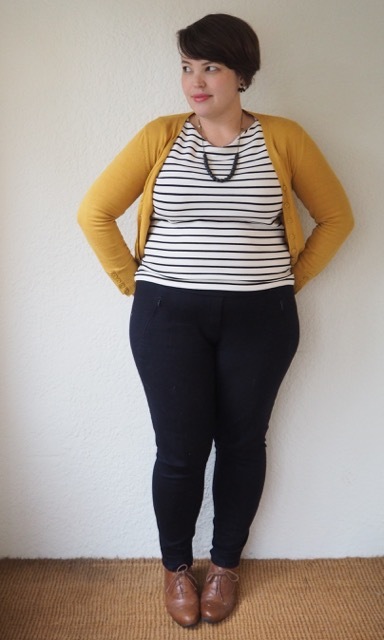 I love the casual simplicity of this outfit — it’s definitely something I could replicate for work. And that necklace is adorable. Love this look – its absolutely fabulous. I need to explore more with colour…and you inspire that 🙂 I’d probably use a pop of red myself, but the mustard is beautiful! I know the feeling! It always used to be red with me, but recently I’ve been alllll over yellow! Hate to tell you this, but Ziera/Kumfs have been doing stylish shoes for a few years now! I know – because they are all I wear and I refuse to wear fuddyduddy. Loving the mustard cardi! And short hair is the BEST. Enjoy! I love this outfit, Lilli. I’ve just come back from a holiday with a LOT of walking, and my pair of Rollie Derbys were amazing. They’re light, comfortable, cute and good for wider feet. They’re also an Australian company (started in Melbourne, I think?). I have three pairs already and am anticipating more soon. You’re a really cute girl.